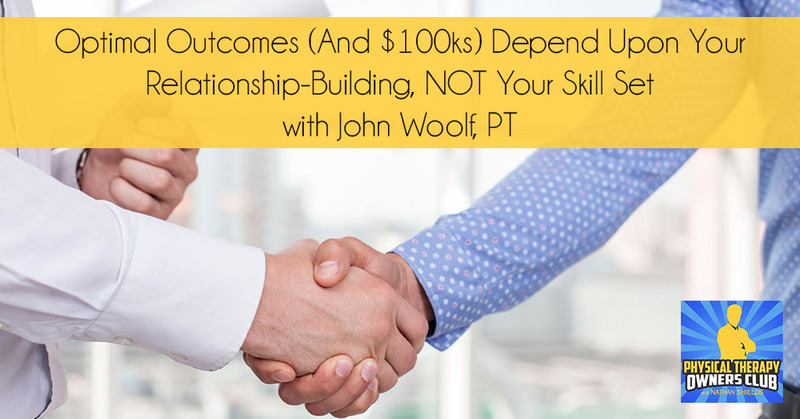 John Woolf, PT, is out to change healthcare and not with any amazing technological breakthroughs. Rather, John is determined to change the practitioner’s mindset and redirect their focus on the patient (not their evidence-based care they provide) and aligning with the patient. By doing so, John has learned that patients are more engaged in their therapy – attending their PT sessions, following instructions, decreasing the cancellation rates, staying with their therapy/therapist, and completing their Plan of Care! Optimal outcomes are thus more often seen when the provider has focused foremost on their relationship with the patient and not the care they provide. Today, we get to talk about one aspect of developing that relationship – solution-based language – focusing our questions and discussions on the solutions and not the problem that is presented. Great stuff! I’m excited to bring John Woolf, a physical therapist out of Tucson, Arizona. He has a ton of experience. He is the Owner of ProActive Physical Therapy in Tucson, Arizona. He is also the Founder and Owner of Patient Success Systems where he provides coaching and consulting to physical therapy groups. He is also the host of a podcast called Master Clinician Storyteller. He’s a fellow podcaster. He is an athletic trainer as well. He studied physical therapy at Northern Arizona University and soon completed a Master’s Degree in Biomechanics and Motor Control at the University of Arizona. He was the Head Athletic Trainer and Director of Sports Medicine for the University of Arizona in the ‘90s before entering private practice at ProActive Physical Therapy in Tucson. In collaboration with the faculty at Texas Tech University, he also runs the International Academy of Orthopedic Medicine in the United States. You might have seen their continued education courses, IAOM-US. With this group, he’s developed a course that explores the neuroscience and general impact of patient-provider relationships and their clinical outcomes. He teaches this course to providers and health systems in the United States, and this is what we’re going to get into in this episode. 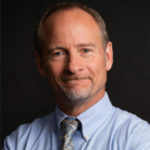 He explores topics with clients through coaching and consulting through Patient Success Systems, his company, and that provides healthcare providers and organizations, systems and specific training to improve outcomes through patient-provider relationship training, changing their language and focusing on relationship-centered care. On top of all this, he’s currently completing a Ph.D. in Performance Psychology. He also is on the clinical faculty at A.T. Still University for their Orthopedic Physical Therapy Residency Program. He has lectured on the faculty at the University of Arizona’s Surgical and Nonsurgical Sports Medicine Fellowship Program in the Department of Orthopedic Surgery and Family Medicine. John has a lot of great credentials. 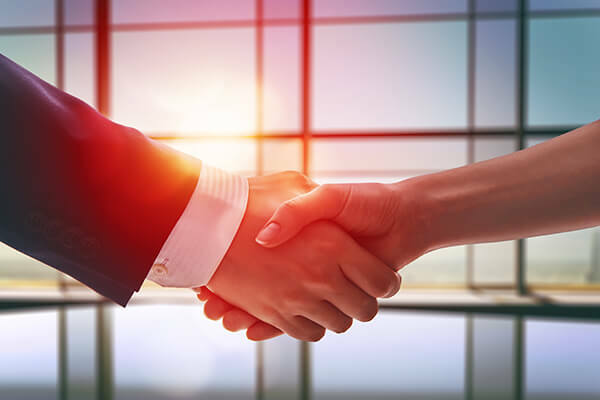 However, we’re focused on the relationships between patient and provider and not just patient-provider, but also as owner to employee leader to direct report. We’re focusing on building relationships. You’ll hear from my story during the course of the interview, I noticed early on that a lot of patients don’t really care how much you know about the technical aspects of physical therapy. Some do, and some are looking for that. Maybe a specific treatment protocol, but a majority of patients that come across our desks, that come to our clinics are more focused on us helping them see a greater vision and getting to a goal that they have for themselves. If we’re not in touch with that and aligning our goals with their goals, then it’s going to be hard for them to complete that plan of care and be successful in physical therapy. That can lead to losses in reputation, money, and credibility on down the line. It’s important to focus on the relationships that we build with our patients. This extends to what we also do as owners with our employees. Let’s talk a little bit with John about what we can do to improve the relationships that we have with our patients and coworkers. I have John Woolf with ProActive Physical Therapy in Tucson. I’m excited to talk about his focus and what he’s doing as a business coach and consultant with some of his training that he’s doing for his Ph.D. program. John, thanks for coming on with me. Nathan, it’s great to be here. I love your stuff. Let’s get started by telling everybody a little bit about your story. What got you into physical therapy or more so into physical therapy ownership and what led you to where you are now? Like a lot of PTs, I had an injury in high school. I was playing football and I had a great encounter with somebody who was present to me at a time when I needed someone to help. It left a lasting impact. I went from one career choice as a senior in high school, which I had a pretty clear idea that I was going to go to the Air Force Academy and play football there. The next thing you know, I knew for sure I wanted to be a physical therapist. It got clear to me. I went to college knowing that that’s what I wanted to do. I went to NAU. You and I share the same alma mater. After PT school, I came back to Tucson because I wanted to go to graduate school. I’m an academic at heart. I wanted to understand how the motor system works. I got a Master’s Degree in Biomechanics Motor Control and I studied with a premier motor control specialist. Relationship-Building: Totally realigning the motivation structure creates a lot of clarity about what the next step should be in order to get there. Interestingly at the same time, I ended up working at the University of Arizona in the Department of Athletics as a rehab coordinator and eventually as a director of medical services. I took over as Head Athletic Trainer and took care of D-1 athletes for a total of about nine years. Then realizing that state employment was going to be a one-way path, not necessarily bad but at the same time, I knew that I was interested in growing beyond that. I stepped out of the State Employment Plan and into private practice with a guy I went to school with. We got ProActive Physical Therapy up and running and grew to up nine clinics. When did you step out? What year was that? You grew rather quickly to get to the point where you are at nine clinics. It was a lot of enthusiasm and a lot of learning. Along the way, did your partner or you have some business experience that helped you to grow that quickly or grow that big? No, and I think for a lot of us, the business experiences that we have are the business experiences that we create in our minds. Many business owners have a vision for what they want to create. They may even have a certain acumen for putting things together and developing relationships. Business owners have a certain gift that inspires them to get out there and take some risk. That’s one of the biggest gifts. What happens though is often business owners fail to realize what they don’t know. What it becomes is a long journey of discovery, learning what works and what doesn’t work. I have a very long list of absolute mistakes that have taught me a whole bunch of things along the way. If I can say if there’s any super cool thing about getting older, is that you know that you made a lot of mistakes and that you learn from those mistakes. That’s tuition for that experience. I’m mindful of that now when I’m going, “Is there any way I can help somebody avoid some of the mistakes?” It’s almost like I had to make the mistakes in order to learn them because I’m stubborn headed that way. The stubborn headedness is the same chutzpah that gets people into the game of doing things. What are some of the things you might have learned early on that you can look back and say if you were to counsel or coach someone who’s in their first year of ownership? Is there something that sticks out or an experience that you have that you would recommend or share with someone like that? The most important thing is some clarity at some point about where you want to go. If you’re out there and you’re one and you’ve got some things going and you’re working very hard because everyone in your one is working very hard. It’s about developing some visioning process about where in your heart of hearts want to take this thing. If it is truly to grow it to three, four, six, eight or twelve clinic system, that’s important to have a sense of. If it’s like, “Things are good. I just want to get two or three or more therapists over a period of time,” that’s good too. There’s no right or wrong answer. It’s about this idea of having clarity. I say that because I spent a lot of time flailing. When I say flailing, it’s like I’m busy. I’m working hard and doing a lot of stuff but I really don’t know if I know where I’m going. What that means is if you don’t have some clarity or a target or a destination, it’s difficult to know in which direction to row the boat. I spent a fair amount of time splashing around and spinning my boat around in circles. Often frustrated because I didn’t know the very next important thing to do. It speaks to vision. As you’re talking, some of it speaks to purpose. If I’m going to grow this to four, six, eight, twelve clinics or if I’m going to stay single practice, why? What’s the greater end? For what goal am I trying to do this? That’s what it tells me. That is a process. I use that word a lot. It’s a process of cracking open your own brain to figure out what’s important about this to me. When anybody gets clear and what’s important about this, it totally realigns the motivation structure. 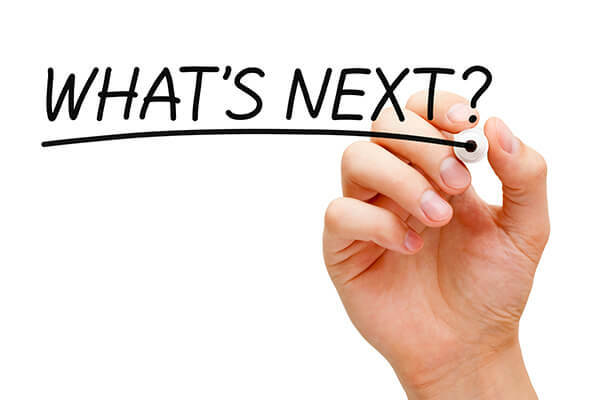 It creates a lot of clarity about what the next step should be in order to get there. We’ll borrow from that start with the why concept. It’s important not for the popular psychology that we’ve come to appreciate but the actual psychology research. It lends itself to the importance of having meaning in any endeavor. This is no small endeavor. You’re studying about a lot of that when it comes to performance and motivation and whatnot? I am. Let’s say you had a midlife crisis. Back to our story, I get to recall earlier on in my journey when I was going, “What’s important about this to me?” I had a great deal of realization that healthcare is jacked. It’s broken in a lot of different ways. We’re experiencing it at a real technical level of trying to figure out how to get paid. That’s the super important part. Even beyond that, I kept going, “What’s missing in this whole equation of serving a mission around healthcare?” What I came to conclusion is I just wanted to change it. Let’s say you wake up in the morning with that as your mission. What are you going to do with that besides having a cup of coffee and contemplate? The lunacy of even thinking that that’s important. That’s what I do every morning, I figure this out. 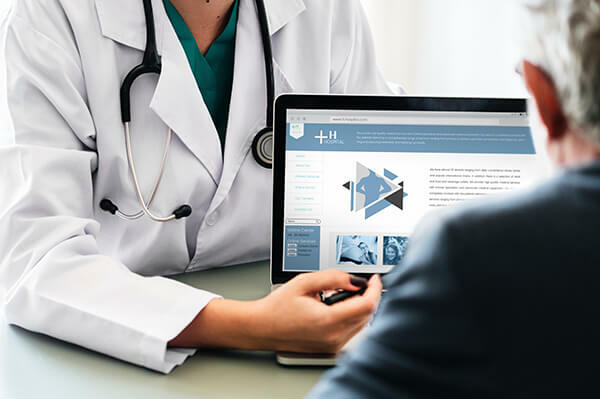 Relationship-Building: When you can communicate well with a patient, you get clinical information that is going to greatly impact your outcomes. If that’s what’s important to me, I had to step back and go, “How am I going to do that?” I needed to understand what exactly creates a good and healthy outcome in any part of healthcare. Let’s say you are in here in the United States and in a modern delivery system of what we have come to learn as ill-care or if you’re in another part of the country. What if that creates an outcome? I took my academic geekiness, or I should say my desire to truly understand something. I studied like most of us have studied the orthopedic side of things, Orthopedic Manual Therapy, and differential diagnosis. I feel over the past 30 years, I’ve developed a pretty good handle on how the musculoskeletal system works and the nervous system around that. I’ve got to tell you with an outcome, that’s only a percentage of the attribution factor. A lot of what an outcome can be attributed to is how one’s belief system aligns to it. It truly, as much as we’ve heard it, is a biopsychosocial model that works, which means you’ve got to go biopsychosocial or psychosocial. This cool motor system that we’re walking around on, I call it a robotic system, is governed by a pretty fancy computer system. I embarked on a Ph.D. program in Performance Psychology to do a deep dive into the research about what really happens to get people motivated in order to take care of their own health. What motivates a physical therapist to inspire patients in a way that gets him performing? What inspires a business owner and how can they create a way of thinking about things that lead to the processes that help them to grow their business? The things that you teach, coach or consult when it comes to inspiring the provider with their patient or the owner with employees or peer-to-peer relationships to inspire other people. Is it the same pattern that you use, whether it’s you talking to a patient, you talking to a co-worker or you talking to an employee? Yes. What was important to me is to get deeper into the foundations of human motivation and the impact of language and identity. The impact of relationship on motivation. I believe, and I think the research is going to bear this out that there are specific formulas that are universal. That which we use with patients can also be used with our employees, colleagues, and with our spouses. It goes on. This is why I went to CSM and I made a presentation to the private practice section on why patient-centered care is a myth. I’m on this topic, although the concept of patient-centered care is cool because it swings us away from this idea that it’s all about the expert or the provider. We have to engage the patient. I get that part, however, have you ever been in a one-sided relationship? A relationship where you were constantly focusing on the other person. What would that feel like? It’s cool to focus on the other person, serve them and see them progress and grow. In some situations, that can be cool. What can happen over time though? That’s what I’m talking about. It wears on you. It starts to get the burnout factor climbing. One of the things that we’re suffering from in healthcare overall is this constant top-down pressure. For performance, of course, we have to do that but it’s compassion fatigue. It’s the ability to show up every day with your best stuff. If it’s all about the other person, it’s not a formula that succeeds. I’m shifting the conversation from a patient-centered model of care to a relationship-centered model of care. It’s not about what happens to the patient and it can’t be all about what happens to me as a provider. It has to be about what happens between the patient and the provider. How do you do that? How do you switch from focusing on the patient to focusing on the relationship? Focusing on the patient seems very easy. I can get some objective measures as to how well their knee is doing. The focus on the relationship would seem a little bit more ambiguous and subjective. The way to do that is to start with the patient. When I teach this in a two-day course, the foundational element is to try to understand exactly where the patient is. What is it about the patient’s world right now that needs somebody like me, listening and how to ask the questions to extract that information in a thorough fashion? How to engage with them? When I have their map of understanding, I then get a chance to help them get to where they want to go. It’s a lot of where in a regular evaluation you’re going to use a goniometer to measure range of motion. You’re talking a lot about the questions regarding the person and how this issue is affecting their lives. Maybe what some of the issues are around them, their environment at home and in their personal lives and whatnot? The more meaning about it, the better. The more meaning means that I get to have a better understanding of what this person needs from me. It is going to be different from one person to the next. The trap we fall into as business owners is the same formula for everybody. Sometimes it works, sometimes it doesn’t. Relationship-Building: If you’re being a business owner with more than yourself in the business, then at some point you’re a leader. This is what I’m gathering and thinking of in my head. It takes a lot of questions. It takes a lot of focus on trying to understand where they’re at, in order to see how you can affect to them and make sure you’re on the same page when it comes to what they want. Whether that’s a patient or whether that’s an employee, spouse or child or whatever. It’s first seeking to understand before being understood. That’s not brand new. The answer is yes. The struggle for many people, business owners included is, “How do you do that well?” I’ve come to learn this and teaching this for years is that you have to have the right mindset for it. You have to understand the value of it and why it’s important to do it? Ultimately you have to have the skills to do it. In healthcare generally, although we’re taught how to ask questions about clinical relevant sub-things, rarely are we taught to ask the right questions in a manner that extracts what’s important to somebody else. That is a skill. What I’ve been trying to help people understand is that is a skill that is equally as important as the hands-on skills that you’re trained in or the exercise skills. When you can communicate well with a patient, you get clinical information that is going to greatly impact your outcomes. That’s only the first step. How do you teach that skill to ask powerful questions? Are there any exercises you could share with us as a teaser of what you provide that you might recommend to develop more of that skill set? I’ve got a pretty interesting example that I use in the course. We’ll do one of the exact exercises I do in the course. If your audience has a quiet space to give it a try, it will be pretty cool. This is a skill set called Problem and Solution Language. Oftentimes, medicine is focused on the problem. What’s the very first thing that we ask a patient when they come into the clinic? The other one is, “What’s the level of your pain?” Where’s our focus? Step back for a second, close your eyes and listen to the following questions. I want you to think of an issue or problem that you’re currently facing. Don’t answer the questions. I want you to pay attention what your internal brain does. When is your problem the worst? How has your problem limited you in other aspects of your life? What will happen if this problem is not successfully resolved? What is the worst thing that will happen if you don’t resolve this problem? Did you get that? Relationship-Building: We have to understand that the patient has needs, desires, and goals, but so does the provider. I want you to compare that with this. Feel what this feels like in your internal state. How will you know you have resolved this problem? How will you know you were on the right way to resolving this problem? What would be the first sign? What else is likely to improve as a result of solving this problem? What will it be like to look back at how this had been a problem? You listened to two sets of questions essentially around the same thing but what did it feel like in the first set of questions? I don’t want to say fear but there was more negativity. There was more dour. I’ve felt foreboding. What you’re doing is you’re thinking about, “What kind of an atmosphere is foreboding? What neurological state are we bringing our patients sometimes into as a result of the questions that we use? Is it optimizing physiology?” How we talk to patients impacts a patient’s physiology and the questions we use and how we ask the questions matters. If we think about this as a specific skill, we get a chance to impact how we inspire or detract from somebody’s self-talk, their emotional state or their mental mindset. We get to presuppose that there’s something good going to happen rather than a dire endless sense of dread. Some imminent problem is coming, waiting for the other foot to drop. What we’re doing with these skills is we’re trying to help therapists understand that how they talk to patients is a skill. By learning these skills, your outcomes are going to be better because the patient is going to be more likely to follow through with their treatment plan. Do you see the same effect on employees, people that you’re working with and the questions that you asked them? Yes. As a leader, there’s a real important identity that comes with being a business owner. 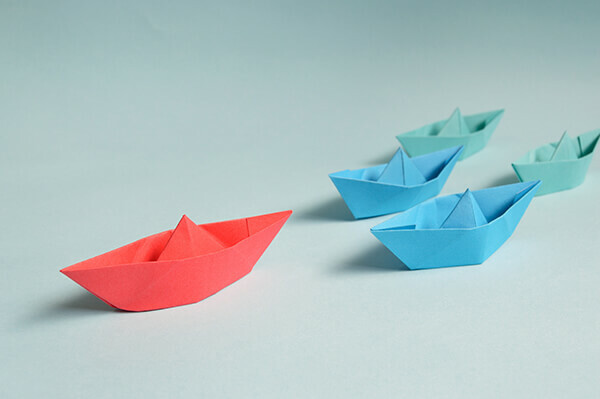 If you’re being a business owner with more than yourself in the business, then at some point you’re a leader. Leaders have the ability to inspire behaviors or to demotivate people through the way they communicate. These skills not only are useful for the therapist with regards to their patients, but it is also useful with our ability to communicate and inspire others to reach whatever goals that we set before them. You have a set of questions. Are these some of the example questions that you’ll give clinicians to share with their patients? That’s exactly it. Let’s say a patient comes back on a second visit. I hear some of our colleagues asking, “What’s your level of pain now?” What’s the first thing you have to think about? Pain. Another way another way you can ask a question is, “What improvements have you noticed since our last visit?” Guess where their brain has to go when you asked that question? What’s better in my life? They have to go there and it’s pretty useful. It’s sometimes a better place to start. To take those other questions and put them in more general clinical terms, what will you be doing? This is some language you can use. What will you be doing or how will you be thinking, feeling and speaking when you have moved past this point? What will be different or better when you’re healthy again? Think about that question. What will be different or better when you’re healthier again? Part of the skill set is pausing and watching the patient search for that information. Determining the degree to which they’re capable of actually seeing it. I’ve got to tell you more often than not your patients will pause, and they’ll go like this, “I don’t think I can see it. I don’t think I can see myself getting that much better.” If your patient can’t see themselves getting better, what are the chances that if not addressed that’s going to hinder your ability to get them better? If they can’t have the vision themselves even though you have a vision for them, if they’re not seeing it, they are going to stop themselves from getting there. Who’s going to have to carry the burden of the vision? You are. You’re working all alone on someone who’s not willing to work with you. Relationship-Building: If we can work on relationship skills right off the bat, then anything that new grads do with a patient in the technical skill-wise is going to have a better outcome. I learned that early on. I got a sense with physical therapy especially because we see our patients so often, we develop a relationship with them that it’s almost more about the personality at times. As I hire, I look for those soft skills. Those things that you can’t learn, not the hard skills of our technicality in the profession but the soft skills, the personality skills. One of my first hires, a clinic director eventually ended up becoming my business partner, Will Humphreys. I knew he was going to be successful. I didn’t even know how much education he had but I knew he would be successful. He was so personable and that bore out over time. Even he said within the first few years as he was running his practice, he would bring on other clinicians who had a ton of experience and patients would get better with them. The patients would end up on his schedule all of the sudden. He’d asked them straight up, “Why are you coming to see me?” They’d say, “I was getting better with that other guy, but I like working with you.” Not only was he very positive about everything that he was doing and very personable, but he did a lot of this. He could see a vision for people, help them and engage with them so that they could see a vision for themselves and recognize that, “My life is better if I work with this guy. I feel better about myself.” That led to improved outcomes. What I’m doing then is giving people who do this. If you ask Will, “What are you doing?” He might go, “I don’t know. I’m being me.” For example, if Will takes a course he goes, “That’s what I’m doing.” He gets a language for what he’s doing. He gets to label the innate qualities that he already has using. The colleagues who are not as innately gifted with this, you get a chance then to teach them because now you have a language for it. It’s not like people aren’t all capable as Will. It’s like some people are probably capable. They just don’t know how. Anytime you take a concept that’s relatively abstract like patient engagement, which I still think is a fairly abstract concept and break it open and put some language to it then you get a chance to teach it. If you can teach it and measure it, you get a chance to improve it. That’s Business 101. You can’t manage what you can’t measure. What’s measured improves. I like the language that you put in that. This is solution-based language and not a problem-based language for clinicians. That’s an example. We take people through a series of these specific skills that have to do with communication, not just the language that you use, but state management, your own state management. The importance of rapport. What exactly is rapport? Do you get under accountability and language behind that? What do you do with someone who’s not doing their home exercises? What’s the secret formula so that you don’t get all pissed off with the patient which is everybody’s first and then they have a bad experience. It’s not like you chastised them and like you’re a bad person because you’re doing it. I’ll bet you a fair percentage of therapists probably leak it out nonverbally, a certain level of disappointment like, “I’m showing up here but where are you at? How come you’re not doing your part of the relationship?” That’s why I’m trying to focus this conversation on an idea of a relationship. We have to understand the patient has needs, desires, and goals so do the provider. You have expectations. You understand what the problems are. You have specific goals that you have to accomplish. What do you do with a patient who’s chronically ten minutes late? That’s going to eat into my day in a pretty significant way. I’ve seen too many colleagues go, “I don’t want to see them.” That’s one option which means you lose the visit. The other is I’ll see them and then I’m going to try to take awesome care of them. Give them the full thing but then I’m going to get behind and then the rest of my patient day is going to suffer. There’s a real constructive way to deal with that patient in a manner that respects and honor what you need in a relationship, while at the same time honoring and respecting what they’re bringing to the relationship. I like how you bring that up. They have goals for themselves and you might even have goals for them, but you are in the background have your own goals that are related to their care that aren’t necessarily specific to them. Some are objective measures that you’re being measured by. You’re working together to achieve different goals, but you’ve got to understand both sides of it as the provider or as the leader. This is why I say that if you do it with a relationship-centered approach, you have what the research is calling out, is this idea of a therapeutic alliance. It’s a good word and it’s got great evidence behind it. It speaks to what’s happening. A therapeutic alliance by definition is an agreement on goals, tasks, and unconditional positive regard for the patient. Can you do that? Can you get a complete agreement on the goals and complete agreement on the tasks required to accomplish the goals? Can you do that all in the context of unconditional positive regard? This is where the training comes in. If you do this, you’re going to get optimal outcomes. Patients are going to be happy. The physiology is going to be optimized. They’re going to be motivated. Their chances of sticking with a treatment plan are going to be at their highest. They’re likely to show up for visits and complete a plan of care so that, “Physical therapy succeeded,” because you’re able to give them the right dose. All too often, if that alliance fails. Let’s say we’re not clear on the goals. What if your goals as the therapist are different than the goals of the patient? It happens all the time. Let’s say you have goals for the task to accomplish the goals, you have one thing in mind and they have a different thing in mind. That’s not going to work. We spent a lot of time developing real clarity upfront with real concise communication platform. This isn’t rocket science. It is information that once you get it you go, “Of course, that makes sense.” Once you get some of the language skills then it gets super easy after that. To come down to it, what comes to mind is my interview with Heidi Jannenga of WebPT. They did their state of rehab reports and they found that the average clinic lost $150,000 a year simply because patients did not complete their plan of care. It can be a money factor. You could literally lose hundreds of thousands of dollars on average because you are not aligning with your patients successfully. You’re not doing the most fundamental part of why a patient comes to see you, which is a healthcare relationship. If you don’t get the relationship right, the best manipulation exercise in the world isn’t going to get you any further. You’ve got to do the relationship right. That’s number one. When you do that, everything that you do after that is going to make a better difference. Everything succeeds after that. That’s how we need to change healthcare is make this a very practical approach. This isn’t mythical. It’s not some ethereal psychological techniques. It is regular simple communication skills and enough knowledge to know how to apply them properly. Are you giving more of these continuing education in this in the near future? That is correct. I’m putting together the schedule. Some of it’s already in place, some of it is yet to be determined. More often, I end up working with a clinic or a clinic system that’s interested in putting this information in the hands of all of its clinicians. I will go out to a group and give a one or two-day course on this content and then help them build some of the processes necessary to pull this off. If someone’s interested in either taking your course or reaching out to you to bring you into their clinics, how would they do that? The best place would be to go to PatientSuccessSystems.com. That’s probably the best place to reach out. They can get ahold of you through that website and they can also see when you’re offering these courses? Are you going to be speaking anytime soon? I don’t have anything scheduled. I went up to the market challenge up in Denver and did a great one-day gig with their fundraising event. We took a lot of students and some of the therapists in the community and did a great training program where they got an idea of exactly how to put this in play. It’s funny about new grads. Even new grads who we already sense are struggling with communication at some level because of the technology and other concerns that we have. This is important for those new grads to get because it’s going to take years to get their clinical skills dialed in. If we can work on relationship ship skills right off the bat, then anything that they do with the patient skill-wise and their technical skill-wise is going to have a better outcome. They can be successful right away even with their limited skill set. That’s huge. Just thinking about that, it would be wonderful training for any new grads to be sent to or to have some experience in. The skills aren’t about the relationship, it’s also knowing that you have to have a certain amount of integrity in the relationship. Not that you have to do more. It’s like, “How do you know when you’re starting to feel the burnout or if you’re starting to feel resentment towards the patients?” You are starting to feel anything. If you don’t tend to that stuff regularly, it will lead to burnout. Burnout leads to crappy care and not just attrition. Attrition from your clinic team but it leads to care that’s substandard. It’s less than engaging which is going to impact how people leave a review on your Google page. The degree to which they are willing to leave a review at all. All of these things can be measured and managed, but the take-home message is relationship and engagement. Relationship-centered care rather than patient-centered care and engagement. Thank you for your time. I really appreciate it, John. I encourage everyone to go and check the website. Even from the little that they could implement from what you shared, there’s much more that could be hugely valuable. It’s a process of learning and had I known this years ago, I probably would have saved myself a whole lot of headache and I probably wouldn’t be able to grow the practice even faster. Thank you for your time. Have a good one. John Woolf is a physical therapist and athletic trainer. He studied physical therapy at Northern Arizona University and soon after completed a Masters degree in biomechanics and motor control at the University of Arizona. He was the Head Athletic Trainer and Director of Sports Medicine for the University of Arizona in the 90’s and then entered private practice at ProActive Physical Therapy in Tucson, AZ where he was the CEO of a 9-clinic organization. In collaboration with a faculty based at Texas Tech University, he runs the International Academy of Orthopedic Medicine – US, a continuing education company that teaches physical therapists, and medical providers in the US, Europe and in South America. 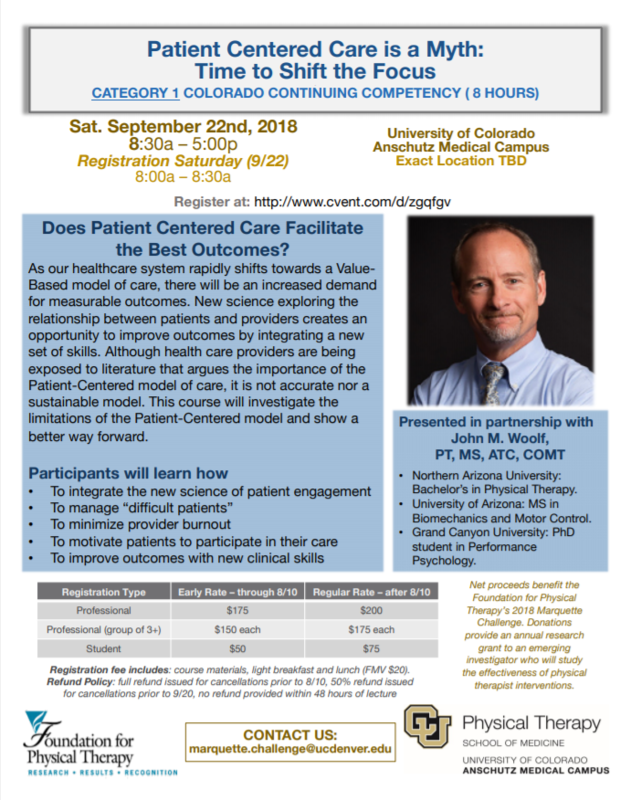 With this group, he developed a course that explores the neuroscience and the general impact of the patient-provider relationship in the clinical outcome. He teaches this course to providers and health systems in the US. He explores these topics with clients through coaching and consulting company, Patient Success Systems, that provides health care providers and organizations with systems and specific training to improve outcomes through patient-provider relationship training, change the language and relationship-centered care. He is currently completing a Ph.D. in performance psychology. He has lectured as clinical faculty at the University of Arizona’s Surgical and Non-surgical Sports Medicine Fellowship Programs in the Department of Orthopedic Surgery and Family Medicine. He lectures for the University of Arizona’s Integrative Medicine Program and is on the clinical faculty in the AT STill University Orthopedic Physical Therapy Residency program. He is proudly married to Chris and has two children, Natalie 22 who lives in LA and Timber 20 who is a freshman and Northern Arizona University.